Voting has opened for the British Podcast Awards Listeners Choice Award. 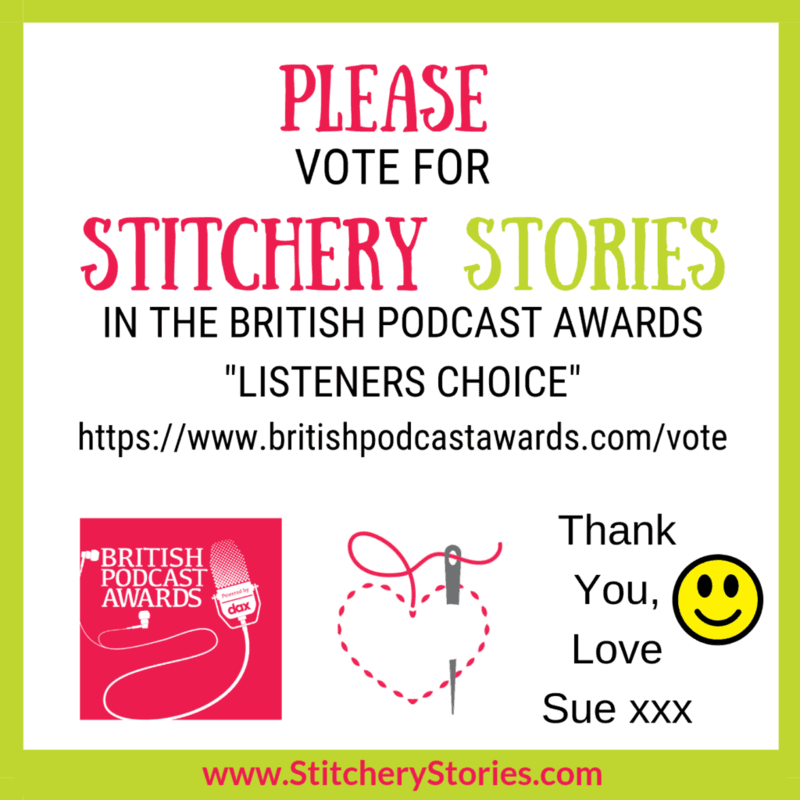 Please would you vote for Stitchery Stories? I know you all LOVE listening. I know this because you send me emails telling me that you do. You leave comments in Facebook and Instagram. You leave lovely reviews in Apple Podcasts and elsewhere. I truly value all of your lovely comments and feedback. And you all know how much time and effort I put into creating this podcast, so it would be lovely if we can attract more attention to embroidery and textile art through this podcast wouldn’t it? It’s VERY easy to VOTE in the British Podcast Awards Listeners Choice awards. Just type in Stitchery Stories to find it, then enter your name and email address, tick yes to acknowledge that they are collecting your name and email to record your vote and hit vote. Let’s hope we give some of the other podcasts a run for their money eh?